Moving can feel overwhelming enough when it's just your household--adding an entire workplace to the mix only amplifies the ordeal. Fortunately, Steinway Moving & Storage knows all about relocating an office or commercial business. To help make your move even easier, we've created this checklist to prepare your business and its employees for the big day. Your steps at this stage should focus on setting up personnel to coordinate the move, along with designing the final layout of the new premises. + Appoint a top-level team to begin planning the transition of technical infrastructure, including computers, telephony and network equipment and data records. + Assign employees to a general moving team, which will manage and coordinate all personnel-related concerns. + Contract with an interior designer to plan the layout and facilities of your new location, along with any construction contractors as necessary. + Draw up a list of all furniture and related items that will travel from the old location to the new, and begin researching choices for ordering replacements and new items as necessary. Steps at this point should focus on finalizing arrangements for the move and notifying your business partners. + Confirm your move date and arrangements with your professional movers. + Begin notifying all vendors and suppliers of your change in address, scheduling a firm transition date for the switch. + Begin ordering stationery, business cards and other items with the new address and contact information. + Finalize all design and construction plans with related contractors and vendors. + Verify that all orders for equipment and furniture are on-schedule and completed. + Ensure your moving teams are set to finalize the new office layout, including equipment and personnel positions throughout the facilities. In the final run-up to the move, you need to start completing your notification efforts and preparing for moving day itself. + Notify your customers or clients of the move, with a firm date for the location change and any information about temporary interruptions in business, as required. + Finalize scheduled transition with all vendors and utilities, taking care to ensure electrical and network suppliers are scheduled before the actual move date to allow technical staff to set up equipment as necessary. + Begin arranging security concerns with your landlord or new location management, including keys, key codes, alarm codes and other facility access matters. + Ensure your moving teams have clear plans for moving day, including which employees will move on what date, and how their transition will be managed. At this point all plans should be finalized and you can begin focusing on the details of the actual move. 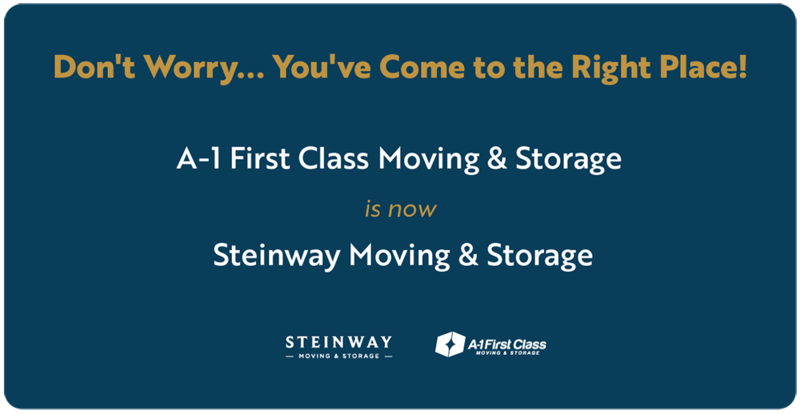 + Meet with your Steinway Moving & Storage adviser to confirm procedures for packing your office, whether done by employees or the movers. + Finalize all seating arrangements and moving dates for employees in the new location. + Confirm all technical, facility and utility matters are scheduled and satisfied. + Confirm with the new location's landlord or manager that the building is prepared to turn on your new utilities, and ensure climate control and security routines will be activated at least 24 hours before moving day. + Draw up an emergency point-of-contact list for any urgent concerns, split between technical staff, human resources staff and facility managers. Distribute to vendors, movers and other parties as necessary. + Follow the plans and procedures laid out by your moving teams to perform the move. + Coordinate closely with your moving company throughout the day. + Work with your technical teams to do a top-to-bottom testing review of all equipment and facilities, scheduling repairs or orders as necessary to fix any concerns. + Work with your moving company to resolve any issues leftover from the move. + Unpack and return any moving supplies to appropriate partners, as necessary.